Wet Hammock (ecology)- Also known as Cabbage palm-live oak hammocks, or prairie hammocks, are a sub-type of mesic hammocks composed principally of live oak and cabbage palm trees. They occur in central and southern Florida in prairies and floodplains, on river levees, and on slopes between dry uplands and wetlands. Well its that time of year again! We are busy getting the crops ready for this spring season. 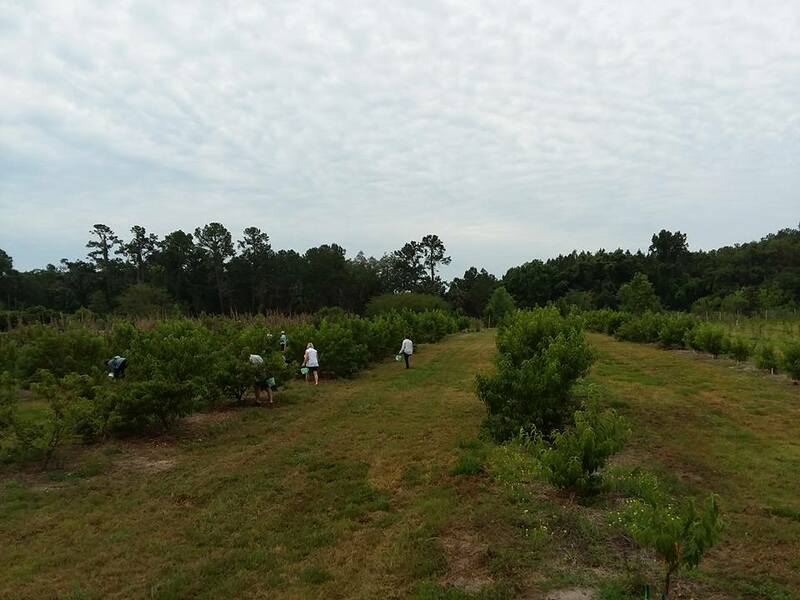 We have spent the offseason planting, replanting and clearing ground for new crops. Check below for updates on a particular crop. Find us and 'Like' us on Facebook for the fastest way to get seasonal info on what is going on this week. 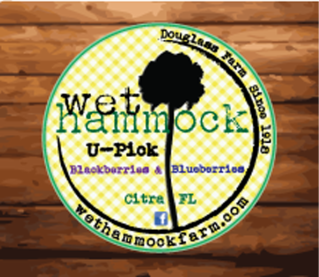 CLOSED, Tentative open date: April 13th 2019 for blueberries, please check back for updates. *We have frozen blackberries available, send a message or call! Plants are blooming and fruit is starting to develop! It looks like Blackberry season will start towards the beginning of May! For more updates follow us on Facebook. Flowers are coming up nicely, we stagger planted this year so we will have a longer pick window. We've also added a few surprises to the mix!! Flower season will start in May but we haven't nailed down a week yet. We have a heavy crop of peaches this year! Our best guess at this point is early to mid May. Our first pick on blueberries will tentatively be April 13th. We have replanted a few areas and added more for future seasons. We should also have a small 2nd crop coming ready around mid-May. 'Like' us at: www.facebook.com/wethammock or sign up for harvest updates below. For updates on our You-Pick schedule for Blueberries and blackberries, subscribe below.